Winner of the Australian/Vogel's Literary Award 2009. It's the 1880s and Marvellous Melbourne is a lavish and raucous city where anything could happen. Eccentric entrepreneur Edward William Cole is building the sprawling Cole's Book Arcade and filling it with whatever amuses him, or supports his favourite causes: a giant squid, a brass band, monkeys, a black man whose skin has turned white, a Chinese tea salon, and of course, hundreds of thousands of books. When Edward decides to marry he advertises for a wife in the newspaper, shocking and titillating the whole town. To everyone's surprise he marries his broadsheet bride and the Arcade grows into a monumental success. But the 1890s depression hits Melbourne - and Edward - hard, and the death of one of his children leaves him reeling. Grief, corruption and a beautiful, unscrupulous widow all threaten to derail his singular vision. But it's not until he visits Chinatown one night - and his own deeply suppressed past - that the idealist faces his toughest challenge. 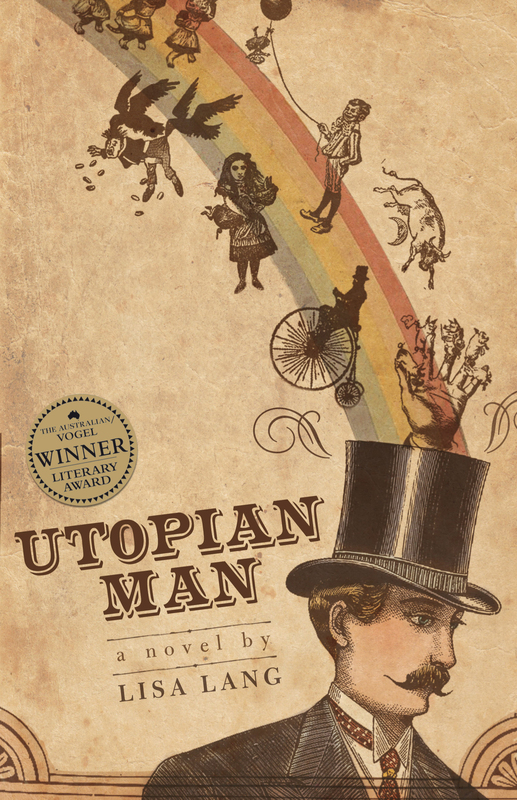 Utopian Man is the story of a man who lives life on his own terms, and leaves behind a remarkable legacy. Lisa Lang is a Melbourne writer. She is the author of the non-fiction title E W Cole: Chasing the Rainbow, and was selected in 2007 for the Australian Society of Authors' mentorship program. Her novel, Utopian Man, was the co-winner of The Australian/Vogel Literary Award in 2009.